The year 2018 was rich in the opening of new interesting places, some failed to gain a foothold in the market, the other is successfully functioning and flourishing. In this article I will consider the 35 most interesting projects, in my opinion, opened in the city of Almaty. 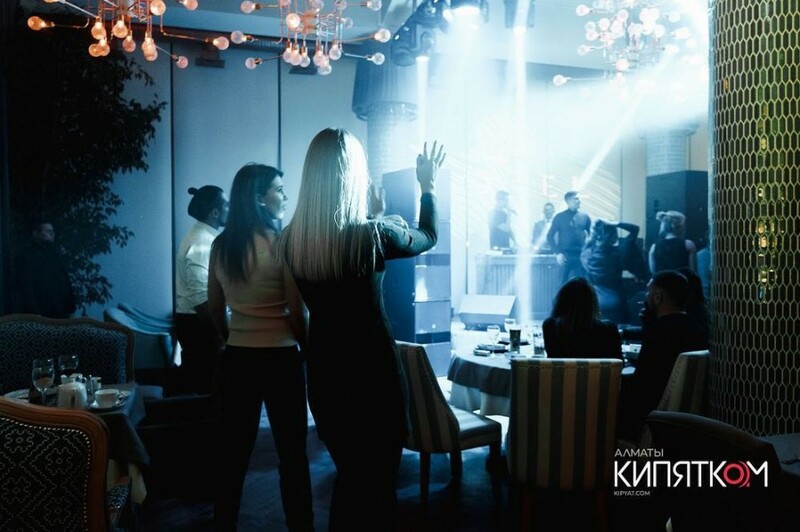 On March 7, the opening of a new venue "BLA BLA BAR STOLICHNYY" (BBS) took place in Almaty. The bar area is 700 square meters for 300 seats. The bar with the basic concept of pre-drink combines 11 different zones of different directions. BBS is a community of different bars and different concepts. Zones differ not only in the original design and name, but also in the choice of drinks. Some offer an extensive alcohol and cocktail menu, the second specialize in whiskey, and others on wines. This platform has united both professionals and those who are just trying themselves in the bar business. On the territory there is a bar Chivas, where only whiskey is poured, and only here the unique Chivas Regal Ultis is presented. Wine bar "Where they drink vino", which poured wine and port wine. Bar Botanista from the network Parmigiano Group with signature cocktails from the chef barman "Barmaglot" Dmitry Korolev and many others. 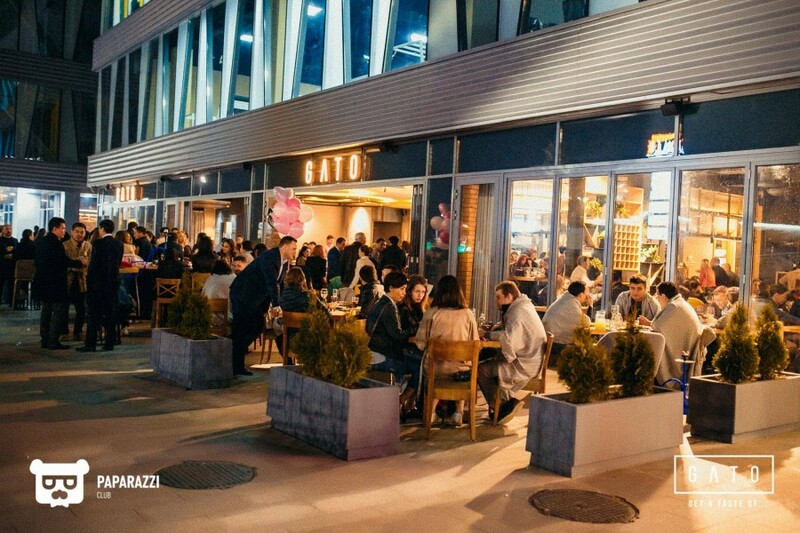 In addition to the bars, here you can find cuisine from ZiyafEt, Kran & Farw restaurants and the famous Smug Burger burgers. Each bar also offers various snacks, cheese and fruit plates and other snacks. And with a bonus, you get a good competitive environment from 11 bars located in the BBS, which constantly compete with each other for each client, and try to surprise guests every time. What is offered: Each zone offers certain drinks and cocktails, therefore we recommend to go around all places and try all the drinks of the city, in one place. 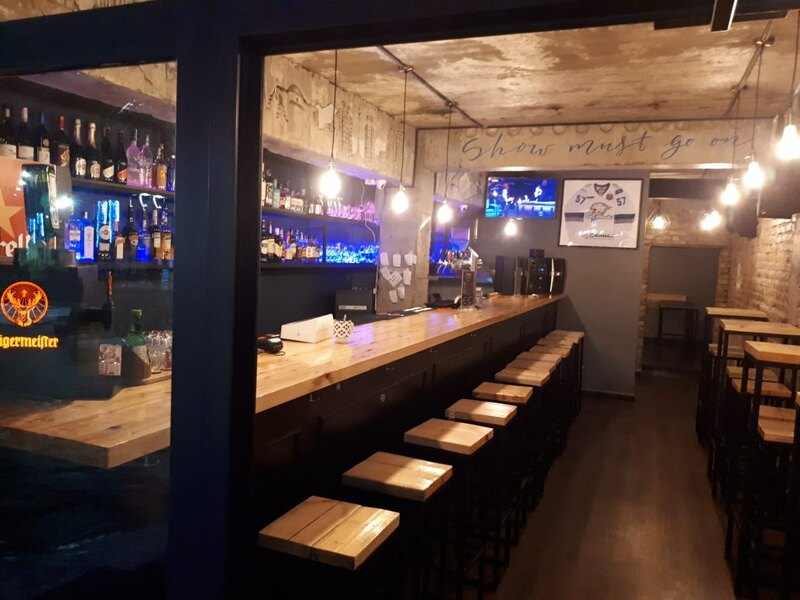 Ginger beer & shots bar is a small, cozy bar in the city center, the main feature of which is the lack of food and a rich selection of alcohol. For redheads, there is an individual discount for all items on the menu. 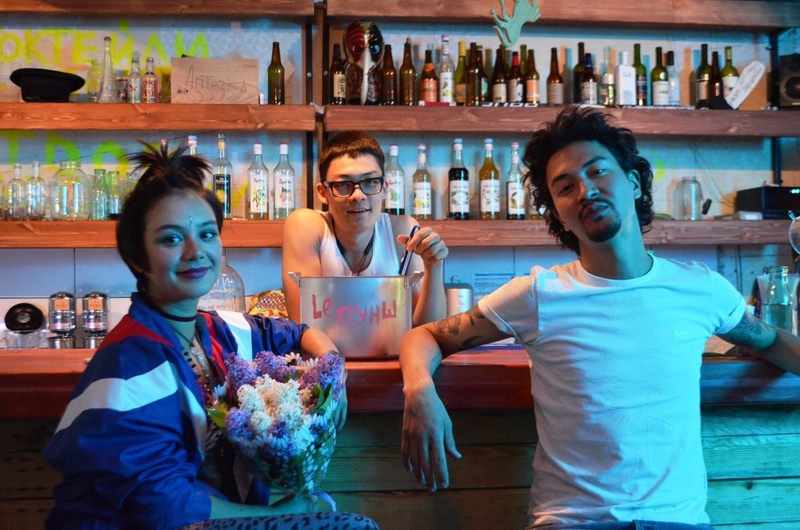 What is offered: It is worth trying various branded liqueurs prepared by the hands of bartenders, as well as high-quality beer, tasty wine and shots for 500 KZT. On Sundays, beer can be purchased at a special price - 999 KZT. Bar of author's liqueurs and cordials – where they make life sweeter. Everything, including Becherovka, is cooked by itself. What is offered: author's liqueurs and cordials, for example, cordials on strawberries and blueberries are suitable for sweet lovers, for stronger lovers - tequila cordials on jalapeno peppers. The concept of the popular ruin-bar (destroyed), now in Almaty. The main emphasis in venues of this type is not on expensive repairs, but on creating a special relaxed atmosphere. The painting on the walls of the bar is not a design element, all visitors have permission for such art. There is no alcohol menu in the bar, so it is allowed to take alcohol with you, provided that you order one hot dog. What is offered: Author's hot dogs and lemonades. The bar is located in the historic center of the city and is open from the very early morning, or rather from 7 am, for breakfast you will be offered: porridges, cheese curds, scrambled eggs and croutons. The venue conducts master classes teaching cocktails, on Thursdays they prepare a cocktal, a dish of hot smoked fish, and cattle meat is fried in a Texas smoker. On Fridays and Saturdays, live music is played in the bar, and the doors are open until two in the morning. 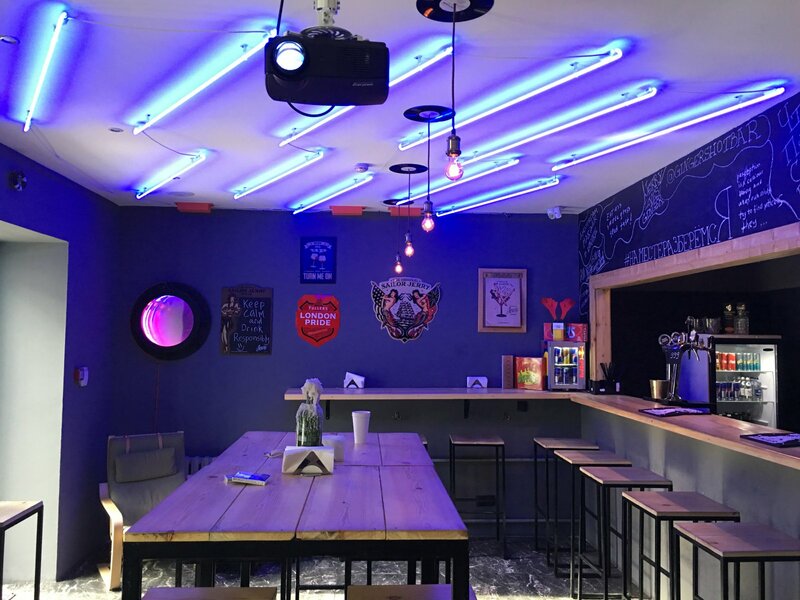 A special feature of the bar is that it has its own mini-library, a kicker game, there is no standard 10% service charge and there is free parking for 100 cars. Also in the menu you can find the column "Open food" – the chef will prepare a dish to choose from the ingredients in the kitchen, even if it is not on the menu. For those who want to spend the night outside the house there is a comfortable hotel with very affordable prices. What is offered: Grilled and hot smoked dishes, gin on baked melon, Roger Rabbit on the basis of carrot juice, local wine and beer. From non-alcoholic watermelon lemonade. An venue with an interior in the loft style, where there is a lot of light and wooden elements, as well as a large selection of hookahs, which are marked for strength, production and richness of taste. There is also a fairly varied menu and reasonable prices. What is offered: 12 types of hookahs, as well as the usual steaks and pasta. The concept of the venue is the subject of American evening shows. Cocktails, named after eminent hosts, recordings on TV programs that scored millions of views. Own small interviews and games with famous guests. A rich bar with affordable prices, and of course BEER-PONG, which gives the atmosphere of American parties. What is offered: the contact bar has a large selection of alcoholic beverages, fresh beer and cocktails. 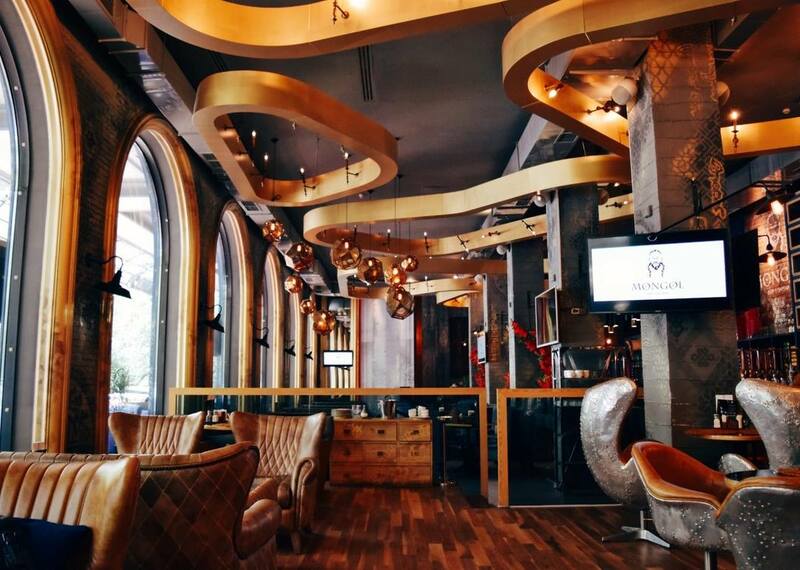 Nobel in the afternoon works as a cozy restaurant, and in the evening – as a lounge bar. On Fridays and Saturdays, after midnight, turns into a nightclub. Here are DJs from Moscow and abroad, as well as private parties. A 3D show is broadcast on the walls of the hall and panoramic windows, which is updated every week. What is offered: A generous menu with a rich selection of beer and all sorts of snacks that complement deliciously a frothy drink. Bruno bar meat & more is the place where 13 meat dishes are served, and steaks are cooked on the fire, and all this is complemented by 10 beers and a decent wine list. If you do not finish the wine, the staff will save the bottle for a week, during which you can go back and complete the job. What is offered: Various meat and other dishes, as well as author’s tinctures. 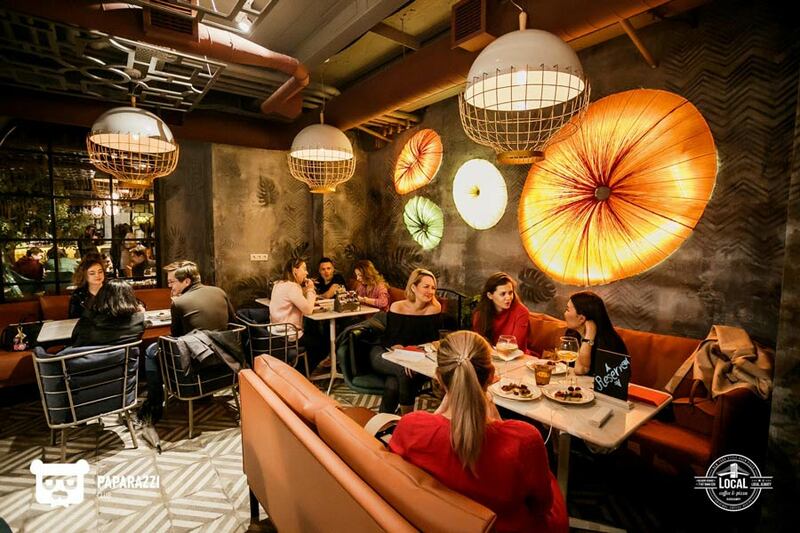 Gato is a Peruvian restaurant with an original interior and an unusual author's cuisine from the chef Gradimir Mitic. 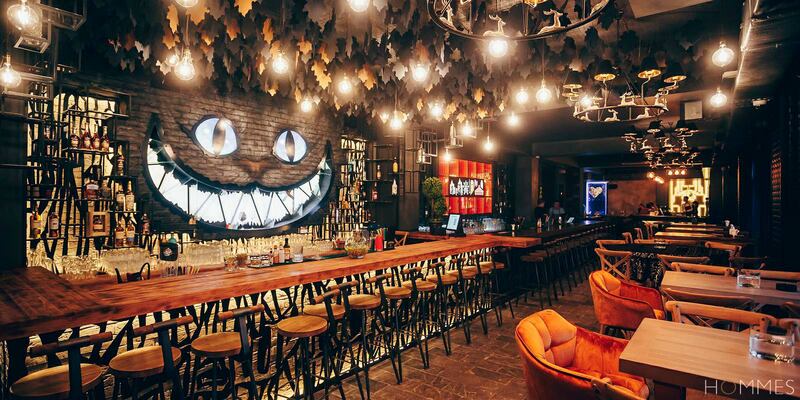 On weekends, the restaurant is transformed into a bar with invited DJs and designer cocktails. What is offered: The restaurant’s specialization is Peruvian seafood, such as raw fish dishes in a special sauce – tanchitsados, ceviche, tiradito, which can be washed down with author cocktails of 1,800 KZT. Another venue of the Bla Bla Bar format, here are collected several formats of venues with the most popular dishes. 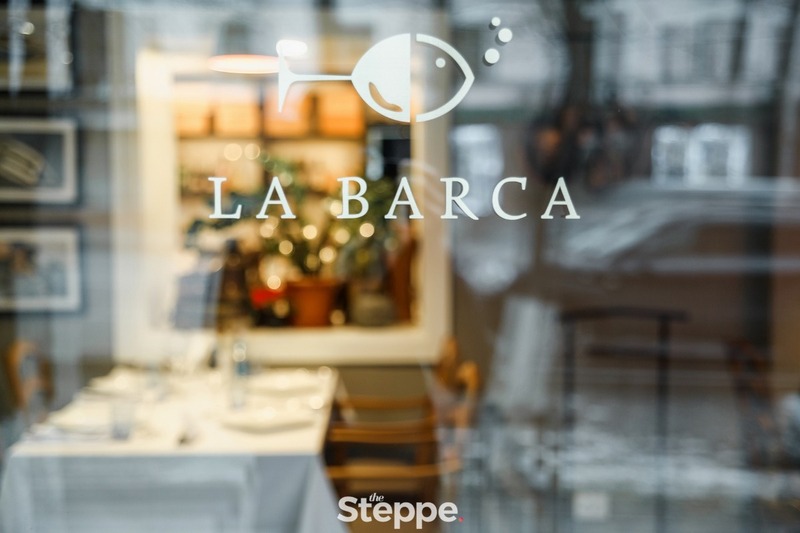 In the gastronomic space there are five restaurants – Ferma, BAO, Lakomka, Amsterdam, XGame, each with its own cuisine and interior. A terrace is open in summer, live music is played on weekends, and regular workshops are held for children. 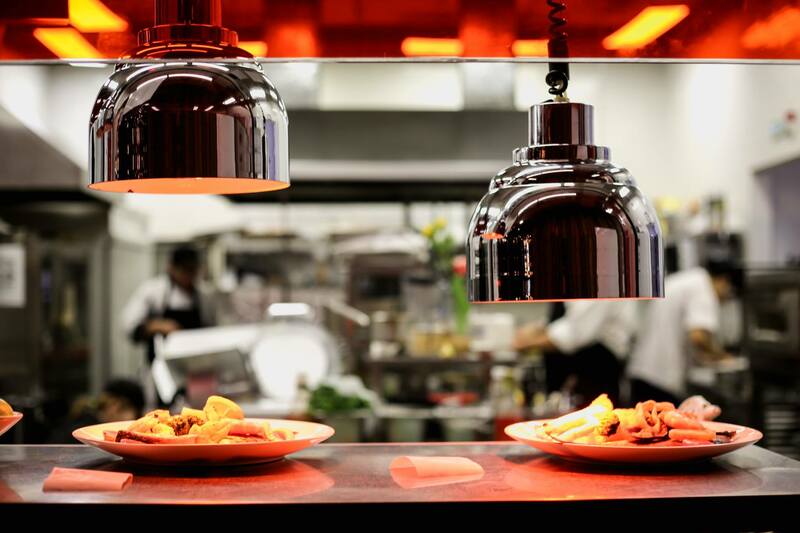 What is offered: The cuisine of five different restaurants in one gastronomic space. 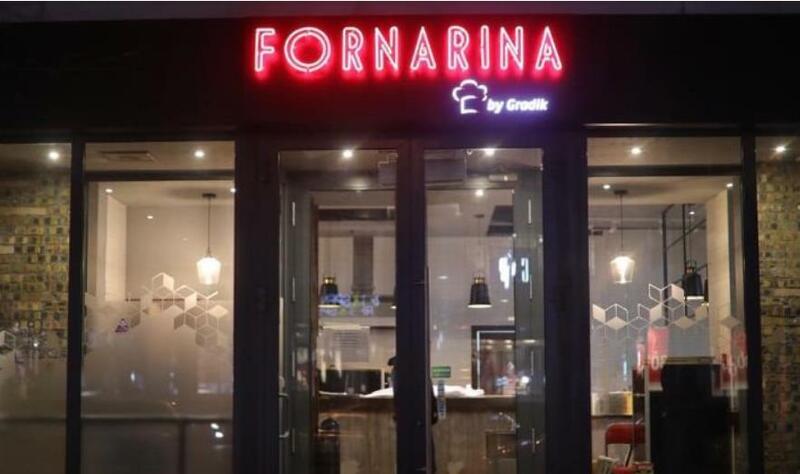 Fornarina by Gradik is the first image project of the chef, restaurateur and creator of ByGradikgroup Gradimir Mitic, the chef from Serbia. A Mediterranean restaurant can delight with a large wine list and its own pastry shop. What is offered: Mediterranean cuisine with a lot of smoked meat and cheese, fish, vegetables and seafood, as well as fornarina itself, a type of Italian bread similar to the pizza base, to which guests choose their own ingredients. Address: Abylay Khan Ave., 59, below Zhibek Zholy st. 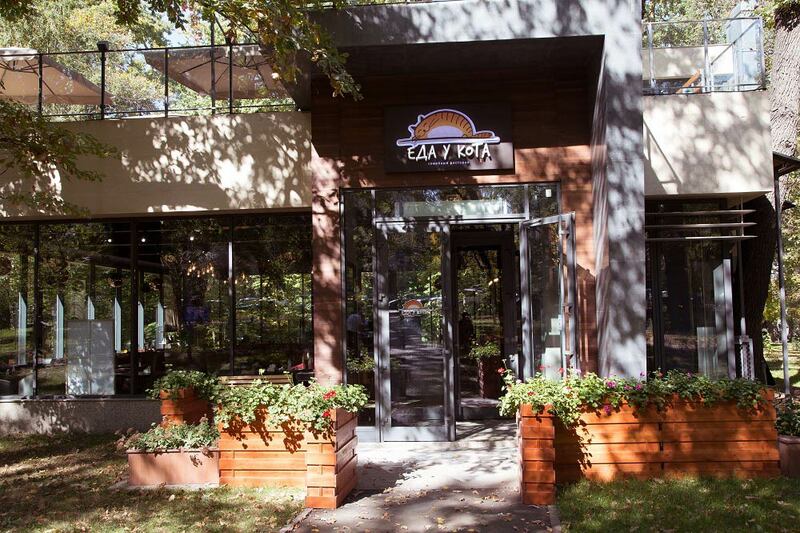 Opened in January, a two-story restaurant of author's cuisine. 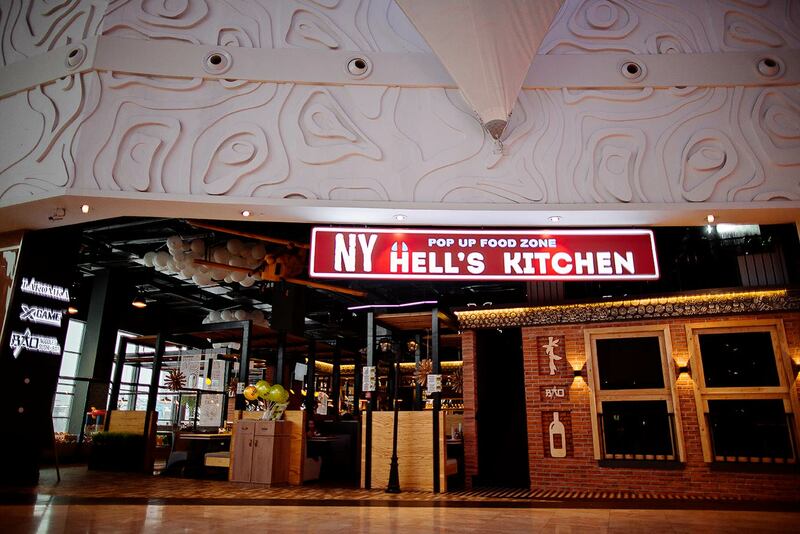 The bar is located on the first floor, and the restaurant itself is located on the second floor. 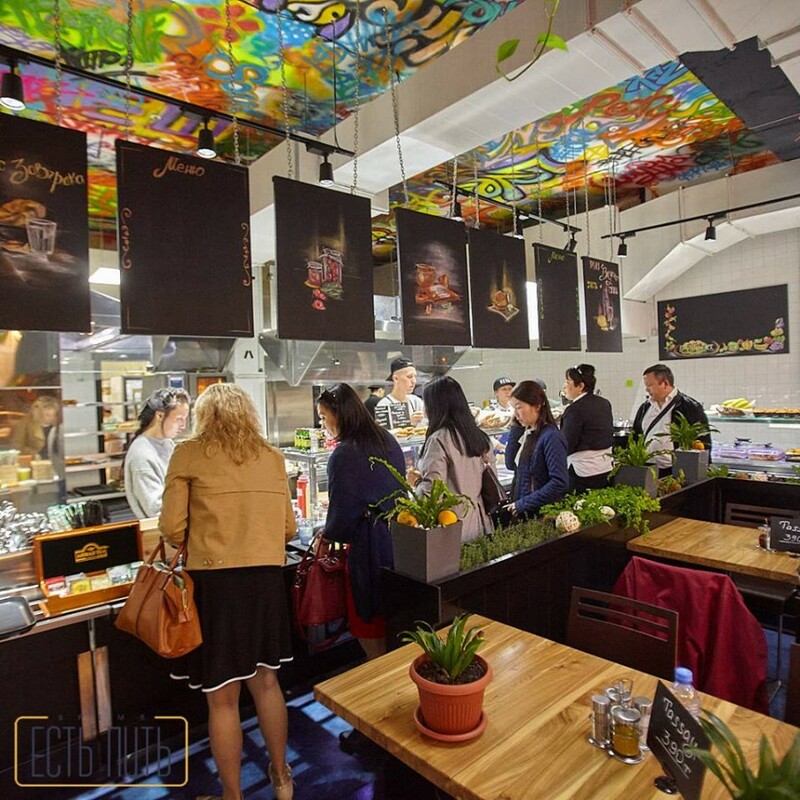 In the same place you can find Chef's Table – a place where the chef of the restaurant is experimenting with new dishes and treats guests. In the “Afisha” everything is about art: aged walls, paintings by Degas and Gauguin, stained glass windows and dim lights. The basic concept of the comfort food restaurant is simple food for every day, but cooked with exceptional technology using quality products. What is offered: At the heart of the kitchen seasonal fruits and vegetables. 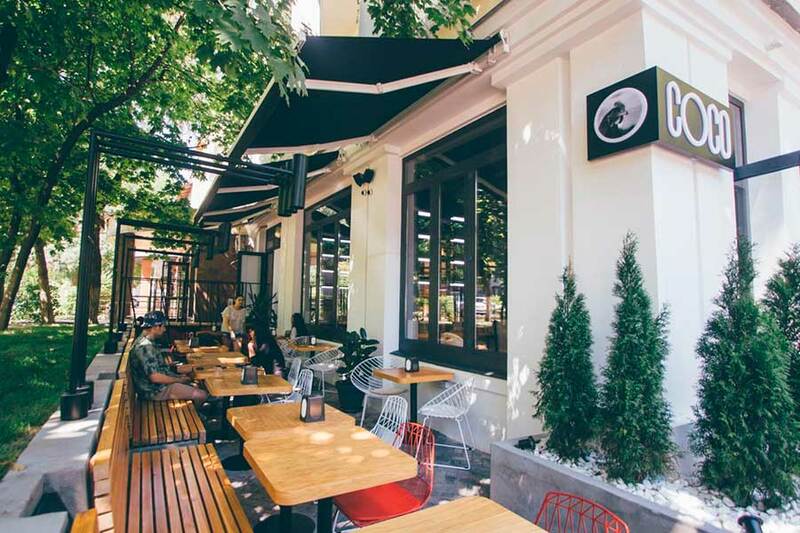 On weekends, from 10:00 am to 4:00 pm, brunches are organized: for 2,800 KZT on Sunday, you can eat oysters with a glass of champagne, and for 3,200 KZT – the Afisha branded burger with caramelized bacon and potato dippers (fried potatoes). Almost all dishes are cooked over an open fire. Still here ginger beer is brewed. The restaurant is located in the House of Writers, hence it is not difficult to guess that the name hints to us about the light of the intelligentsia. The interior is made in European style, with each wall has its own texture and attractive detail. 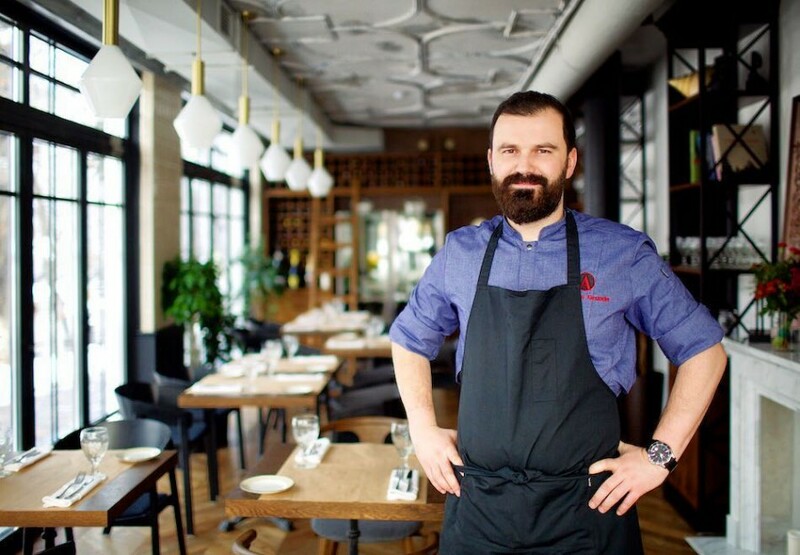 The chef of the restaurant, Dmitry Vepryntsev, does not focus on a specific kitchen, the emphasis is on food. The ingredients of all dishes are local. Meat and vegetables are bought only from trusted farmers and friends. Fresh bread is baked here every night. What is offered: I recommend to try pastrami – this is meat, marinated in a special brine with spices and herbs. 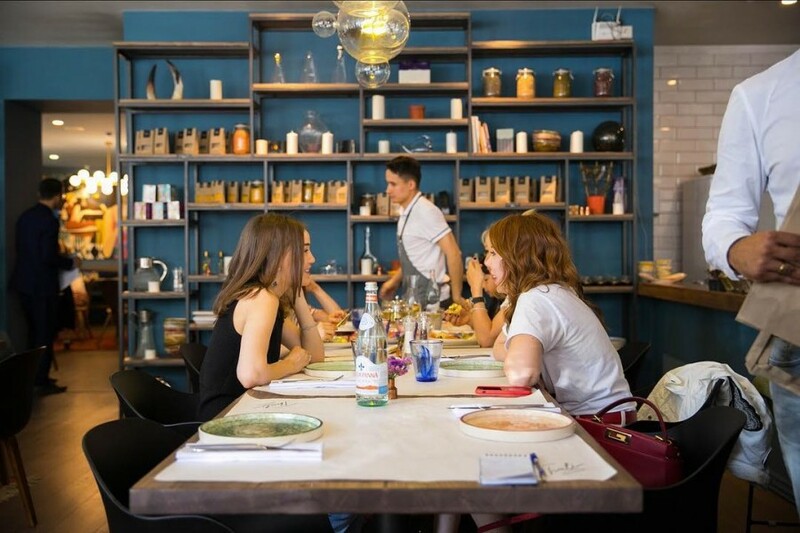 The “Eat and Drink” project, from the creators of “SHEF” and “FURNER”, position themselves as the first self-service restaurant. The interior is designed in the style of a small town, for example, the parade area is a park with greenery. The project will be able to please you with tasty and inexpensive food: hot dishes from 600 KZT, salads from 300 KZT, desserts from 200 KZT. The restaurant also has a bar with liqueurs, tinctures and cocktails. What is offered: Home-made tasty and inexpensive food, we recommend to try the seafood soup tom-yam. 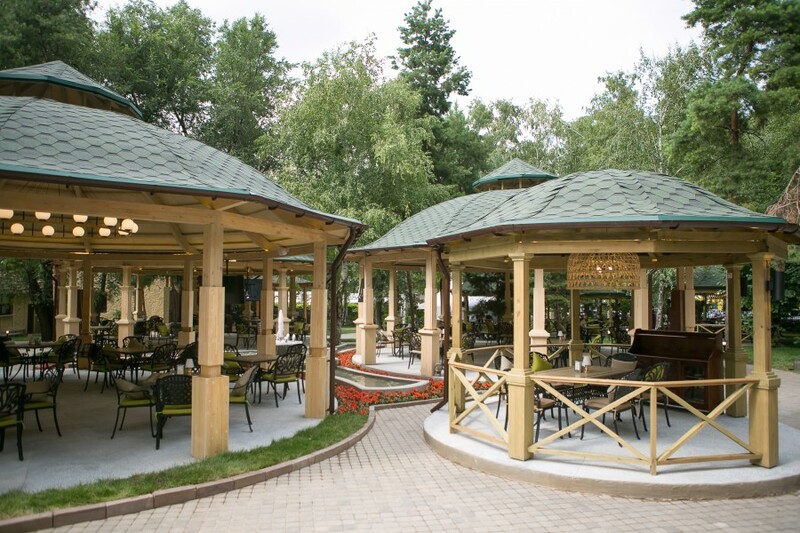 Qaimaq – a restaurant of traditional Kazakh, Uygur, Uzbek cuisine with a large terrace and a shady garden, aryks and fountains. 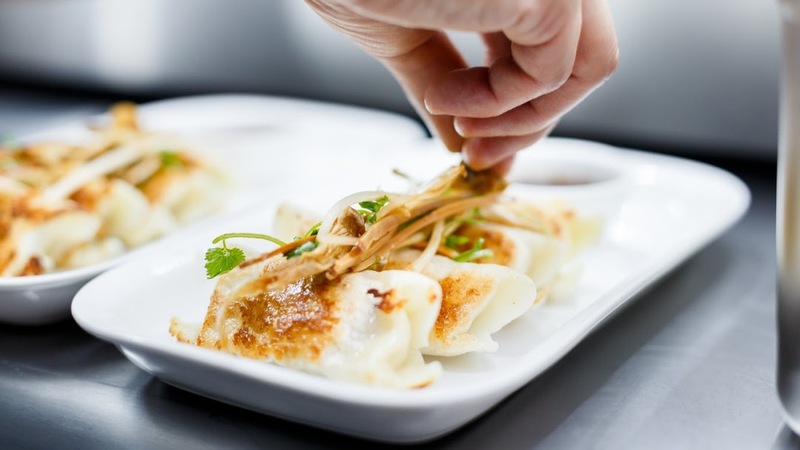 What is offered: dishes of Kazakh, Uygur and Uzbek cuisine – samsa (700 KZT), shurva in Uzbek (1,500 KZT), several types of lagman (from 1,700 to 2,200 KZT) and kebabs (from 1,600 to 2,200 KZT). 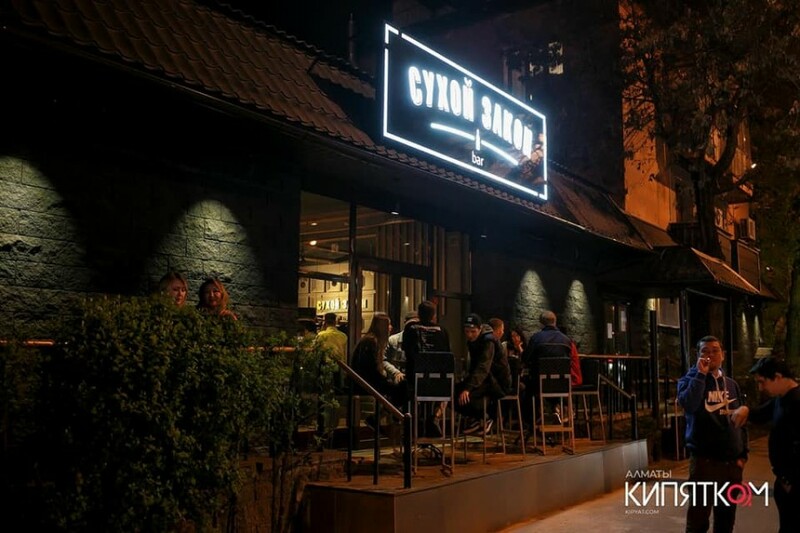 A restaurant in which they tried to create the atmosphere of the famous city of Odessa, in the kitchen of which Jewish and Soviet culinary traditions intertwined. What is offered: we commend to try forshmak, cabbage rolls with a little finger, jelly of two types of meat, as well as dumplings with flounder and cherry. The family self-service restaurant boasts three whiskered employees – Cat Red, She cat Luna and Tusya. Animals vaccinated and received permission from the veterinarian to be stroked by visitors. Every weekend in the cafe are held culinary and art workshops, where they are taught to prepare sushi, work at the potter's wheel or draw their own paintings. With good weather, drawing lessons are held outdoors. The cafe is located on the territory of the Park named after 28 Panfilovs. What is offered: we recommend to try a large, baked in foil, potatoes with cream sauce and tuna. Here you can also eat classic rolls, juicy burgers, soups, cheese cakes and fresh salads, as well as steaks from horse meat and grilled chicken. Restaurant of Indian and Lebanese cuisines. Dishes are served traditional, but with a European adaptation. The main emphasis is made of course on spices, they are everywhere in drinks, food and desserts, favorite spices can be bought on the spot. What is offered: light salads with quinoa, kari and hummus. Do not forget about vegetarians for whom there are different variations of samos, hummus, cold appetizers and salads. It is also worth trying savory cocktails that are ideally combined with all the dishes presented and even have a wellness function. 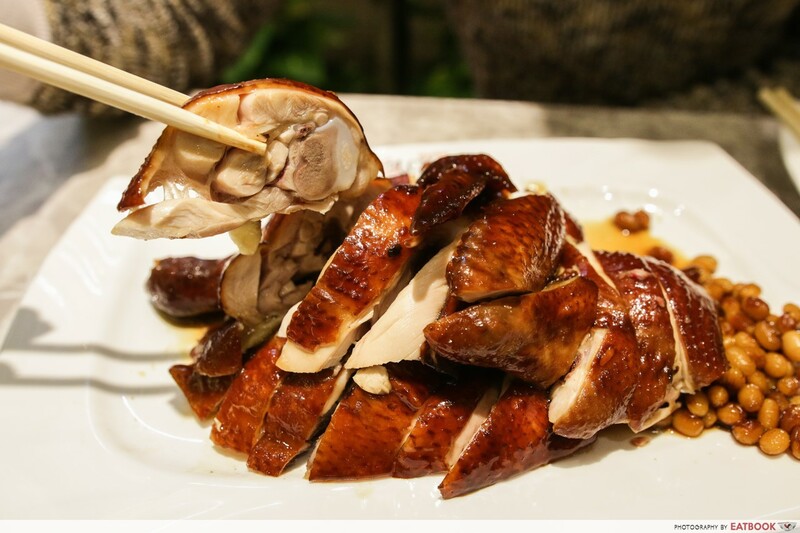 Hong Kong fast food and the first fast food establishment, which received a Michelin star, opened at the food court of Dostyk Plaza shopping and entertainment center. What is offered: For a reasonable price, you can try chicken with noodles in a special sauce, which struck Michelin critics. 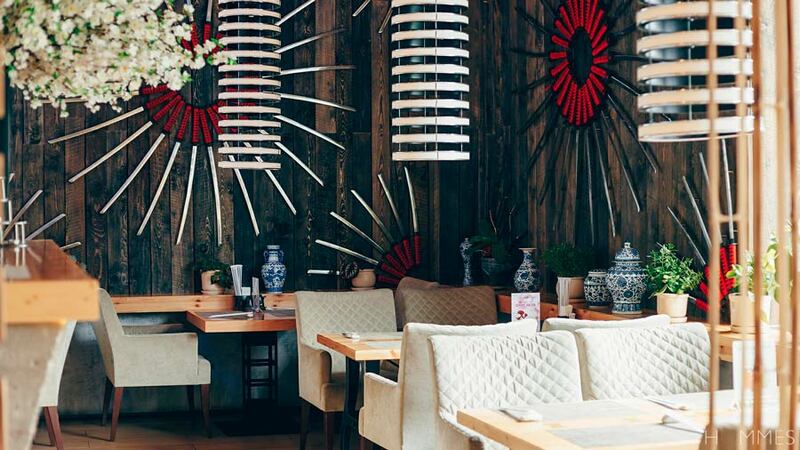 Luckee Yu is the first Chinese street food restaurant in Almaty. 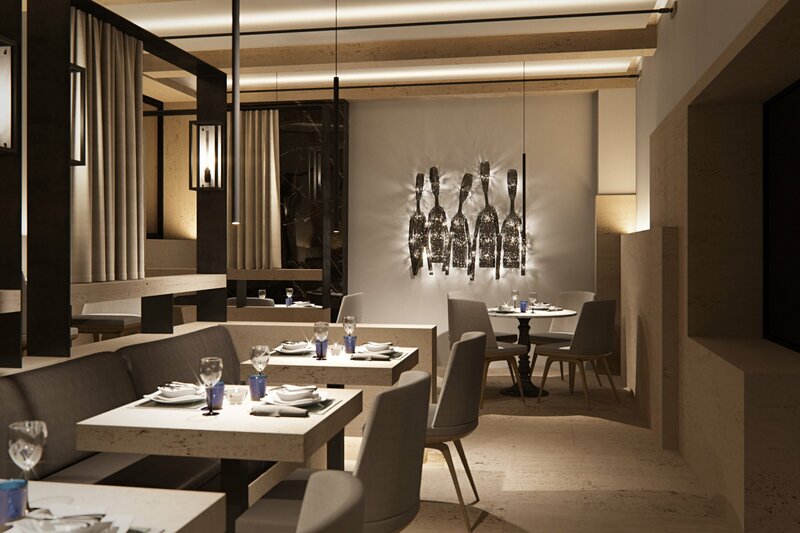 The menu was developed by brand chef Doron Wong, the author of several Chinese cuisine projects in the United States. What is offered: Chinese street food, food cooked in the open kitchen for guests. 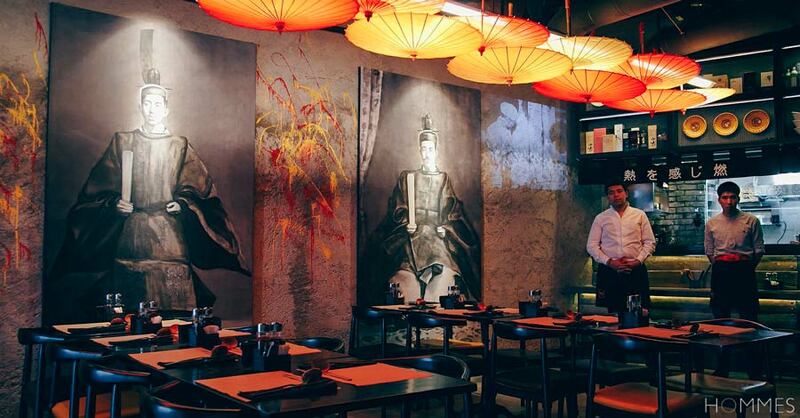 The Japanese restaurant, from the creators of China Gold restaurants and "And fish and meat", is a network of 69 restaurants in Russia, the USA and the CIS countries. The restaurant boasts that salmon for dishes are imported from the Faroe Islands, and eel - straight from China. What is offered: Soups, sushi, rolls and gunkans according to traditional or corporate recipes. There is also a Japanese cocktail menu and ice cream from Japan for dessert. 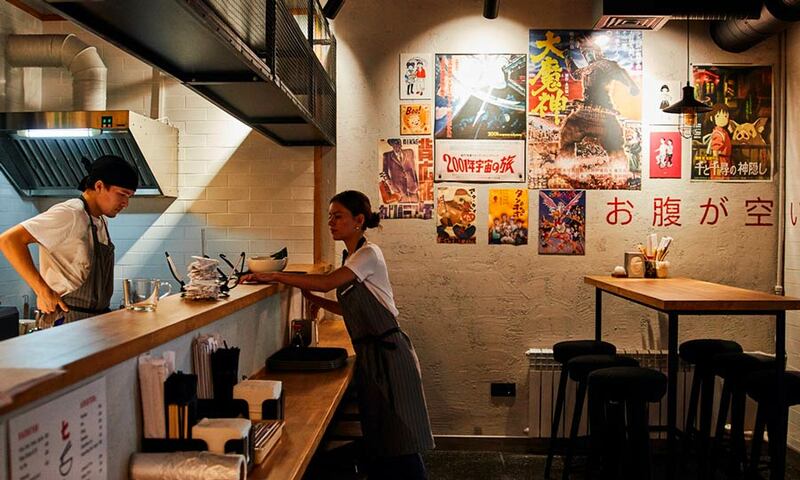 Ramen Lab is positioning itself as the only place in Almaty, which serves real Japanese ramen, not tailored to suit local taste preferences. The team of cooks for several months underwent training and internship in a special Japanese school, and before opening, the best of the chefs who taught at the school came to Kazakhstan to make sure that the kitchen is authentic, where everything is done manually. The same requirements were for the bar list – the menu has Japanese whiskey and Japanese beer. The interior was decorated with bamboo, and the shades are red Japanese umbrellas. The venue also has an unusual TV, which is used instead of the tabletop, on it twist the Japanese program. On Fridays and Saturdays, the Ramen Lab is open around the clock. What is offered: in the menu seven kinds of traditional ramen – two with steak suvid, two chicken, with spicy minced meat and soy milk and vegetarian. The menu also has traditional Japanese snacks. 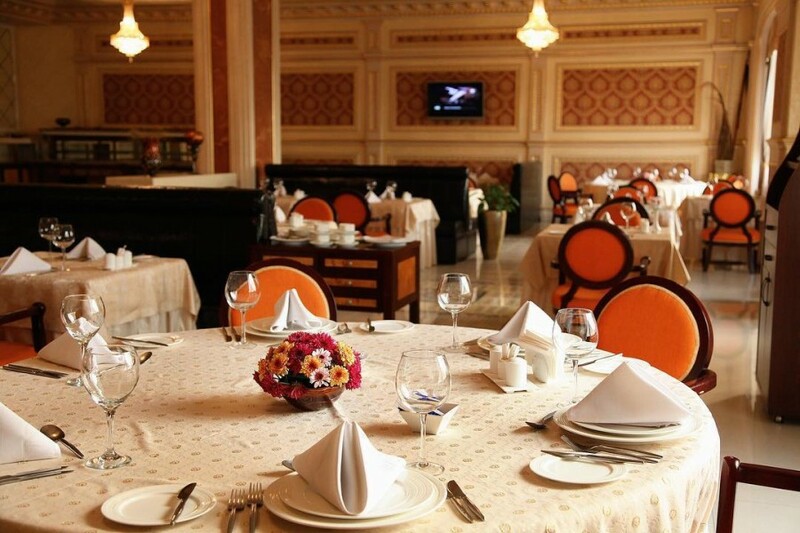 A new venue from the largest restaurant chain in Kazakhstan, AB Restaurants. This place with a warm and homely interior, specializes, as you might guess at ramen. What is offered: four types of ramen, to which you can choose toppings, you should try bisque – ramen on a delicate creamy broth with shrimps, it is prepared only on Sundays. From drinks – beer, soft drinks and spiced tea. 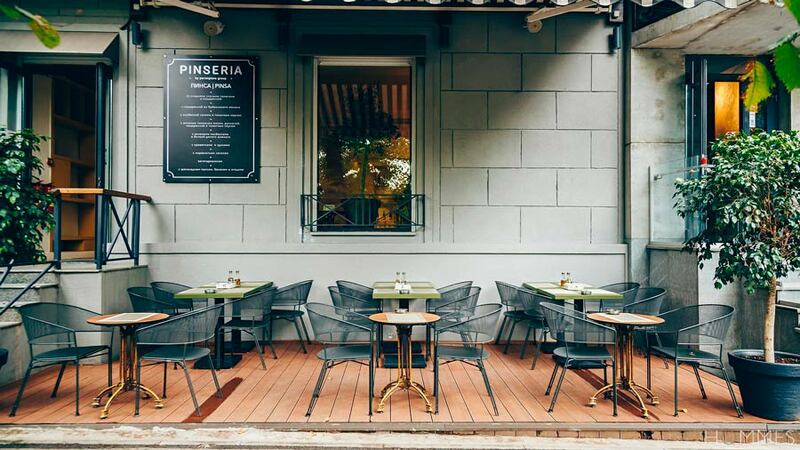 Pinseria is a new establishment by the Parmigiano Group, the restaurant of the original pinse, referring to the cuisine, traditions and culture of the Roman Empire. 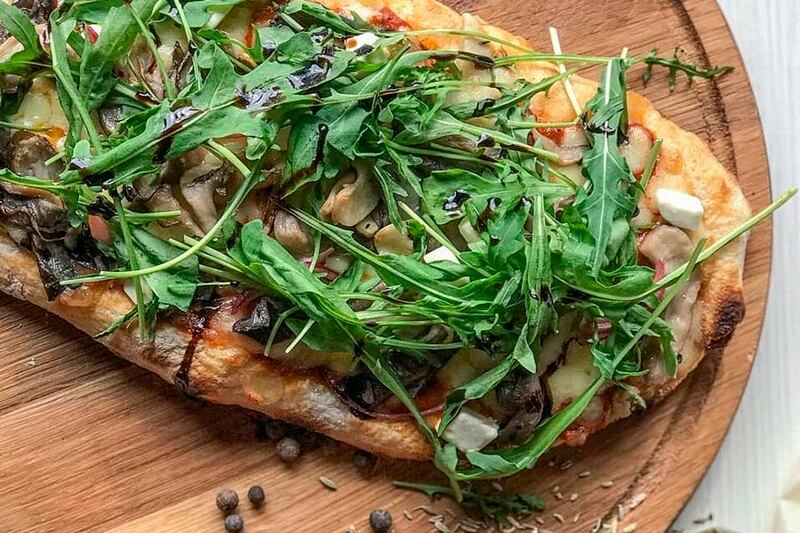 Pins is, first of all, pizza, but cooked according to a special recipe on hot coals, uneven, airy, made from crushed grain and with a dozen variations of the components. What is offered: Square pizza - pins, which is a low-calorie and easily digestible dish. The new place, where they cook popular in the present time - pins. The main feature of the pins is the dough of three types of flour: rice, soy and wheat, which ripens at low temperature for 72 hours using double baking technology. In the menu “Author's pizza” they use very original ingredients, such as spicy honey, beef tongue mousse and snow from kurt. Also the point of the restaurant is that the restaurant owners not only manage the process, but also serve the guests themselves, as well as arrange free tastings that take place on the street in front of the entrance to the restaurant on weekdays. What is offered: The menu has pins, pasta, soups, snacks and desserts. Another new venue in the ABR network in the format of the Italian street-food. Pinsa is a square pizza made of puff pastry. What is offered: The menu is a great choice for vegetarians: stratidella and tomatoes San Marzano, mushrooms and truffle cream, vegetable pins with artichoke mousse. For those who prefer spicy, the place offers chili con carne and salsichu. 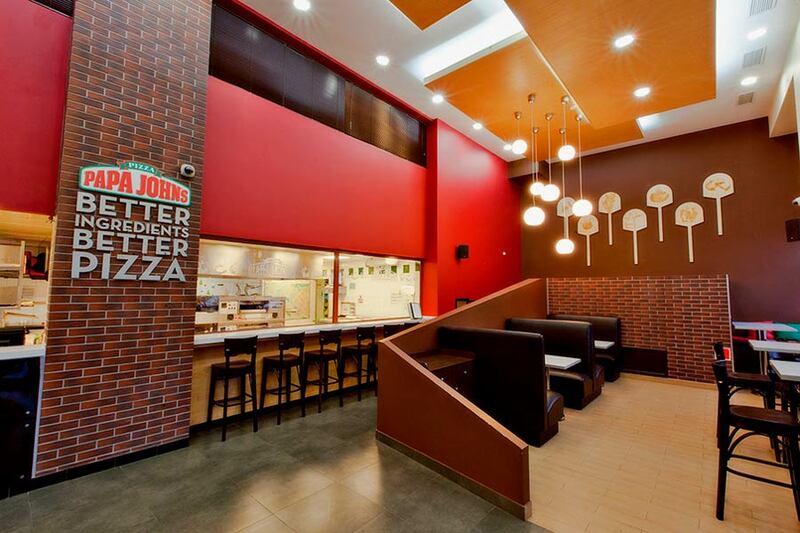 Franchise of the world famous American chain of fast food cafes specializing in pizza, represented by 5,000 restaurants of the network in 46 countries of the world. 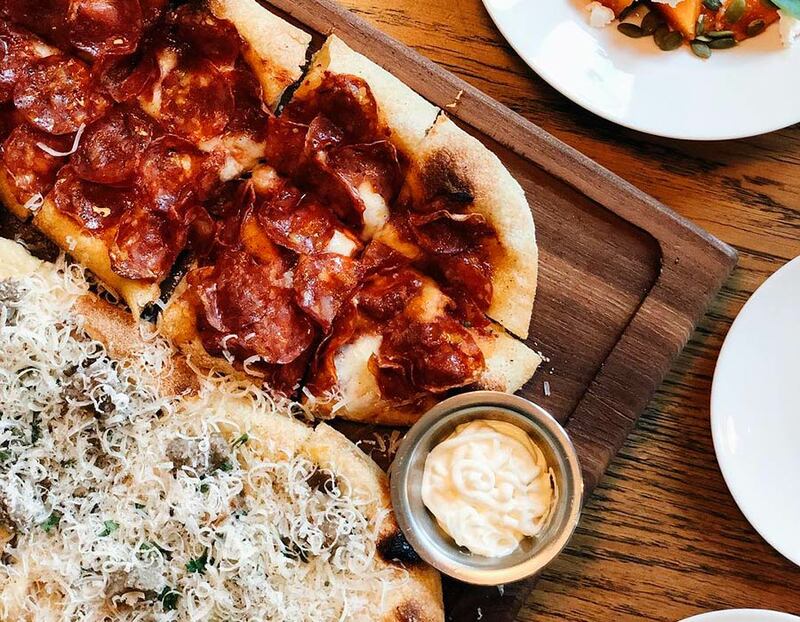 What is offered: The main dish is a pizza with all sorts of ingredients, tomato sauce made from tomatoes grown in sunny California, branded sauce, one hundred percent Mozzarella cheese and, if desired, with a tasty cheese side. You can also order a pizza according to your own recipe from the proposed ingredients. Local Coffee & Pizza occupies two floors of the Colibri shopping center. This cafe, the interior of which is made in a fashionable loft style with the use of moss on the walls as a decor. As the name implies, the main dish is pizza, which is cooked in the oven over a fire. The second floor is allocated specifically for hookah. What is offered: 14 types of pizza. Each can be supplemented, for a fee, with additional ingredients. For breakfast, you can try the Local Breakfast with grilled beef, poached egg, hollandaise sauce, tomatoes and cream cheese. Cafe for hen-parties and children's events, with a soft and delicate interior. At lunchtime from 12:00 pm to 4:00 pm there is a 30% discount on the entire menu. What is offered: Pasta of four kinds, steaks, as well as many other dishes. New project from La Barca Family – City cafe Big Apple. The venue offers a sophisticated coffee menu from verified classics and European experiments. Breakfast and French pastries are served throughout the day. Desserts for the coffee house came up with the famous Moscow confectioner – Mikhail Murzin. It is also the only place in town where you can try Wostok lemonade from East Germany. What is offered: coffee, tea, pastries and desserts. 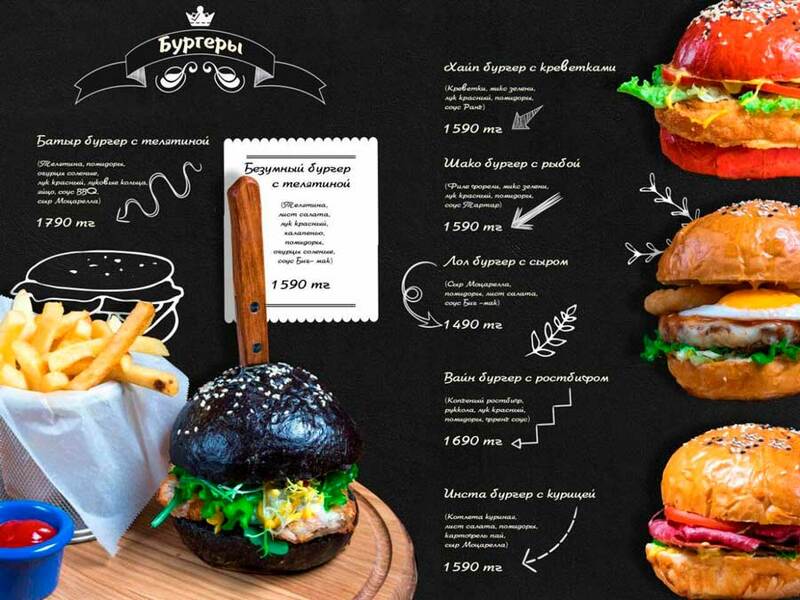 The fast-food cafe Batyroff Burger, the owner of a well-known blogger and weiner Nurlan Batyrov, invites you to plunge into the atmosphere of delicious food and cool drinks. Here you can quickly and inexpensively have a meal, either alone or with friends or family. What is offered: fragrant burgers from juicy beef, fresh low-calorie salads. Also in the assortment there is ciabatta with different fillings, escalabeche rolls, pizza with classic ingredients and cheesecakes for dessert. The drinks offer author’s lemonade from passion fruit and raspberry, milk and fruit cocktails, coffee. 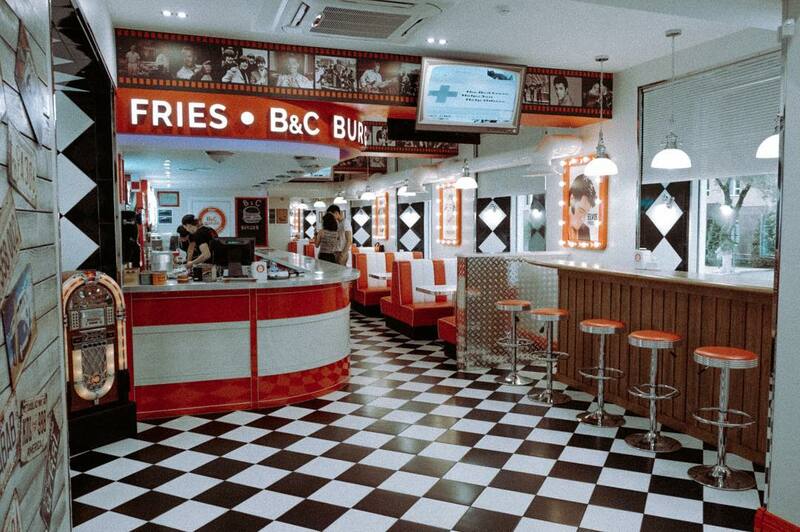 Fast-food cafe in the classic style of American diners of the 60s. The concept corresponds to both the interior and the menu. 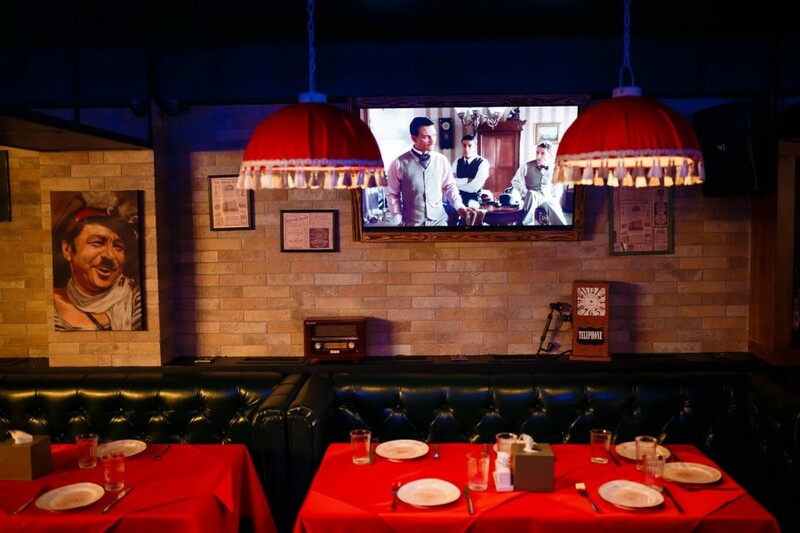 Bright red sofas, black and white tiled floors, Elvis Presley and Chuck Berry sound from the speakers, and black and white concerts of that period are shown on the TV screens. What is offered: In the menu, the standard set for such a cafe is burgers, hot dogs and milkshakes. Burgers are made from beef and chicken. Everyone has their own unusual name – Frank Sinatra, Marilyn Monroe, there is even a Baby Burger for children. 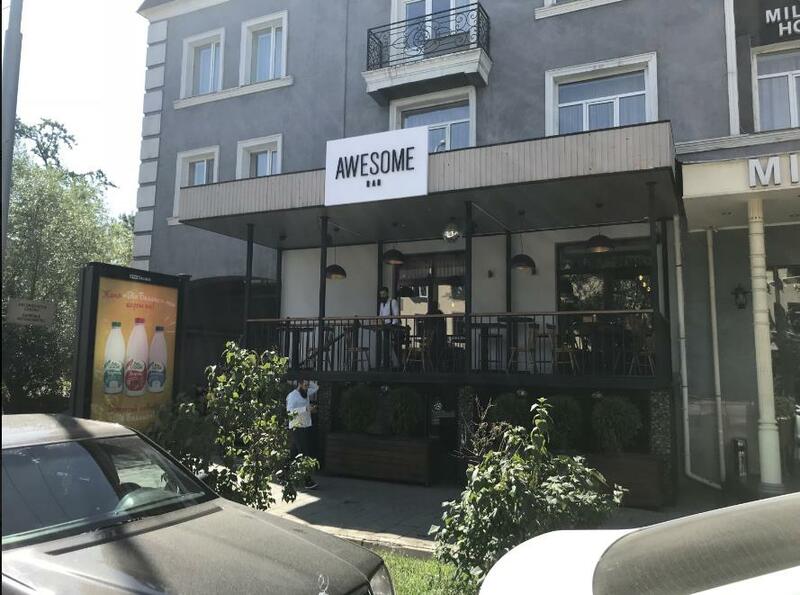 New restaurant in the format of Gourmet Street Food, which means fast food with the quality of the restaurant, and the interior in the style of a loft. From the classic recipe distinguishes a large selection of Middle Eastern spices from brand chef Abdullah Amin. Chef Abdullah Amin won the Best Fried Chicken nomination in Time Out London in London. What is offered: branded spicy burger, pita, combo with chicken strips and falafel with beets. For dessert, banana brownie or ice cream. 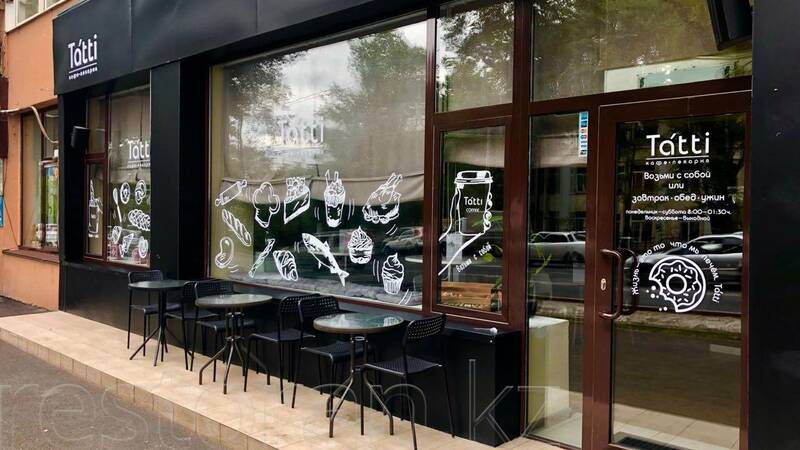 Cafe-bakery, where you can order coffee in the morning with fresh pastries or take with you no less fresh bread, have lunch in the afternoon and drink a glass of wine with pasta among friends for dinner. What is offered: In the menu various fresh pastries cooked the night before, as well as homemade pasta, author’s ramen in Kazakh style with horse meat and quiche with minced salmon. Vegetable menu presents pumpkin soup and substantial salads.